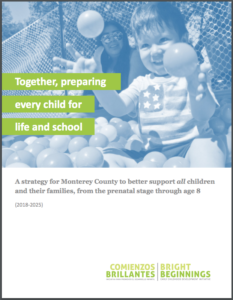 “Together, preparing every child for life and school,” lays out a consensus on what is needed to transform systems and achieve tangible results for the 64,500 young children ages 0-8 in Monterey County and their families. 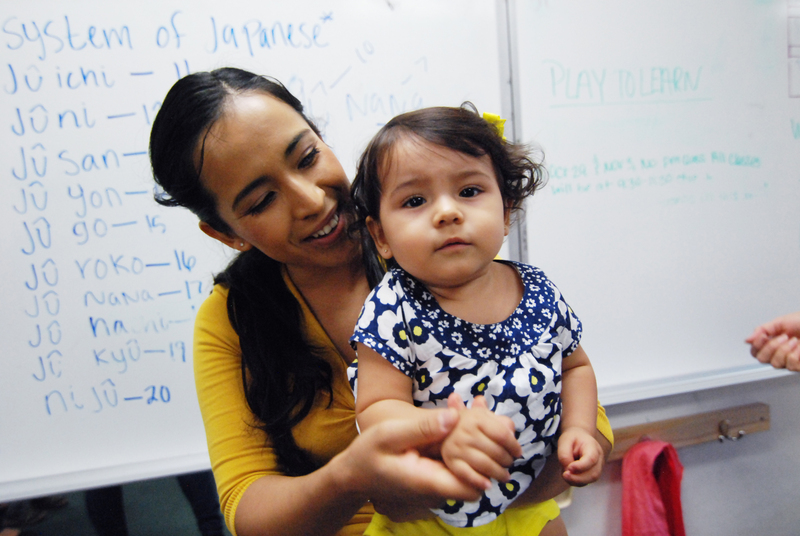 It highlights our shared vision for how change must happen to better support early childhood development, and outlines ten strategies we are prioritizing for implementation. With this strategic framework, we aim to increase the scale and efficacy of collaborative action by improving coordination and aligning resources. It is the result of a collaborative process and is co-owned by key county agencies, organizations and stakeholder groups ensuring it will receive the necessary attention to achieve results. 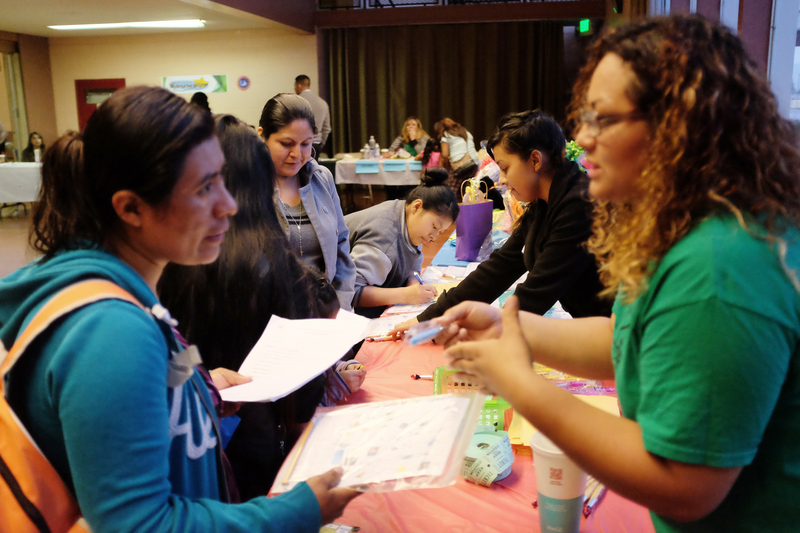 Bright Beginnings and Bright Futures support community change efforts. Together we share a focus on children’s kindergarten readiness as a key part of the success within the cradle to career education spectrum. Progress is being made and the overall trends are positive, but we are not achieving results quickly enough. Many more children and families would benefit from improved and expedited efforts by the community. And our community is asking for greater results. So, in 2017-18, we took steps to accelerate our efforts. We began by re-analyzing local data and research and taking stock of what was working well and what needs to be changed. 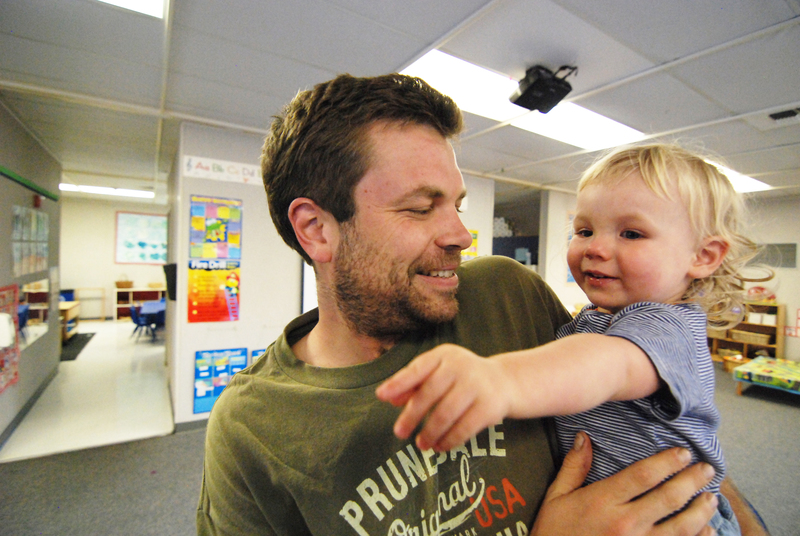 An Early Childhood Development Advisory Group was formed to shepherd this process. The Group worked to deepen our shared vision and provide guidance on strategies and approaches needed to achieve our shared community goals (all Bright Beginnings goals and Bright Futures Goals 1 and 2). and a set of priority strategies to be further developed and implemented over the next seven years. As we come together to celebrate progress so far, we invite you – members of the community, business leaders, teachers, service providers, parents, caregivers, and political leaders – to step up and join us, by committing to work together to achieve our ambitious goals, and by rolling up your sleeves and helping to make changes and implement new strategies to improve the lives of our county’s youngest learners!